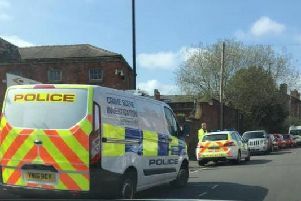 A police hunt is underway for a man wanted over a knifepoint robbery outside a Sheffield nightclub. Officers were called after an 18-year-old man had his watch and ring stolen as he left the Leadmill nightclub on Leadmill Road in Sheffield city centre at around 2.40am on Sunday, October 21. A CCTV image has been released of a man police believe could hold vital information about the robbery. He was wearing a distinctive Stone Island jacket. Anyone with information should call South Yorkshire Police on 101 and quote incident number 136 of October 21.